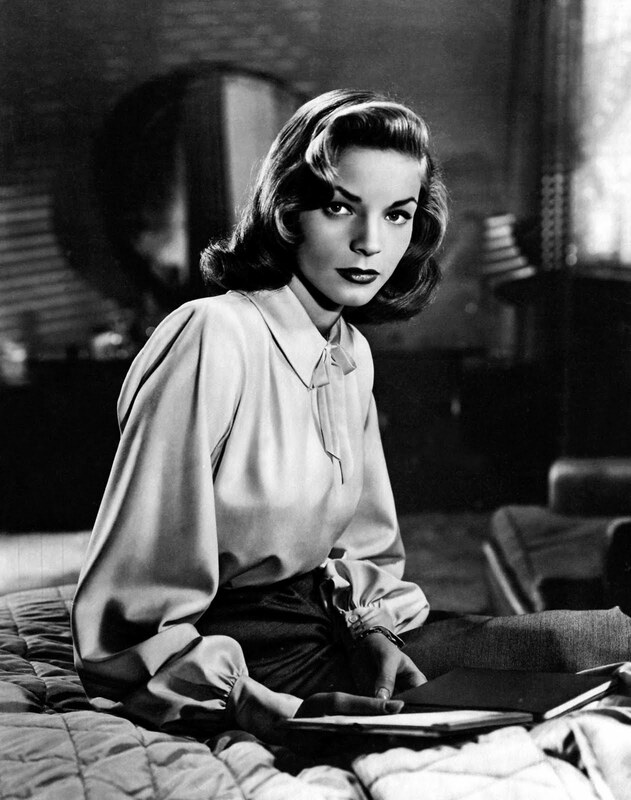 In the wake of Lauren Bacall’s passing this week it dawned on me that I have never written about her before or the fact that I grew up watching her and her forever leading man, one Humphrey Bogart. I’ve been a Bogart fanatic ever since I can remember. The guy remains my favorite male actor simply because he was the coolest of them all. I watched (or at least tried to) watch everything he had ever done – from Professor X (truly bizarre) to IN A LONELY PLACE (1950) the darkest noir he ever starred in and was incidentally about an unstable screenwriter (an oxymoron if there ever was one). 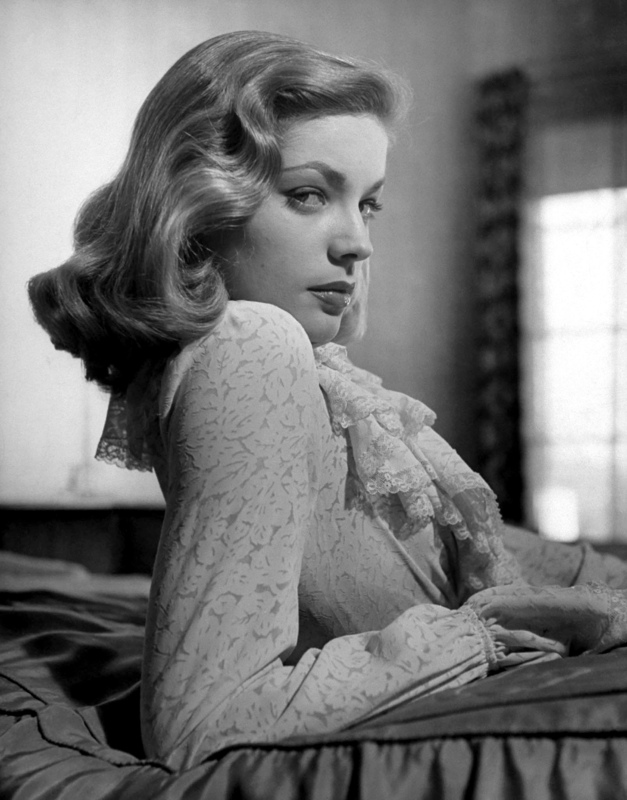 But I digress, this is about Bogart’s greatest Leading Lady both on and off-screen: the ever-underrated Ms. Bacall. Lauren’s angles were legendary from the start. She was the personification of a cat in human female form. She watched you like a cat ready to pounce on its prey and it was that cat-like quality that brought her to the attention of Bogart when they were casting TO HAVE AND HAVE NOT (1944). Of all the co-stars Bogart would ever have, Bacall was the closest in cool factor to the man who starred in the first noir, THE MALTESE FALCON (1941) and became the cinema icon he is today. Of course, I will always love Mary Astor who starred opposite him in that most excellent of Noirs as the prototypical femme fatale, Brigid O’Shaughnessy. But whereas Mary played cool cats – Lauren WAS a cool cat playing a human. Lauren was 19 when she met Bogart (who was 44) on the set of To Have And Have Not and they married not long after the film was completed. They were married until Bogart’s death in 1957 at the too-young age of 57. Yet in those thirteen years I have no doubt that Bogart was his happiest because he had found his soul mate in Bacall. And Lauren, the adoring wife that she was – curtailed her career to support Bogey as well as raise their two children. 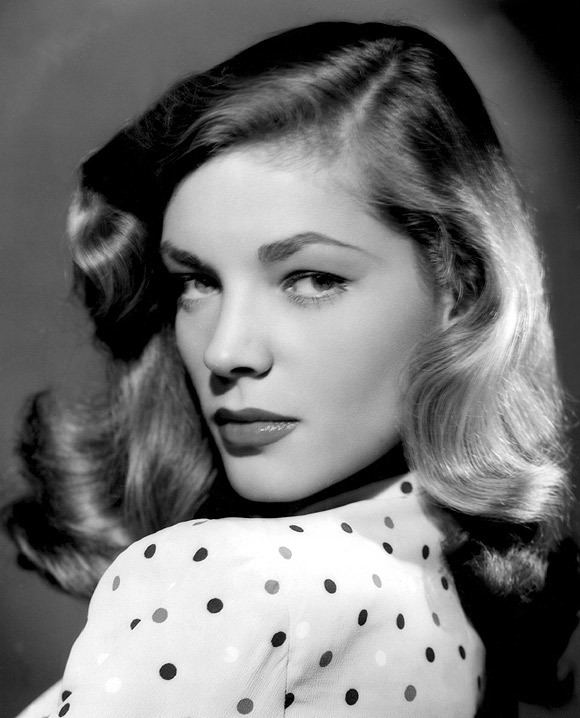 However, when she did appear on screen it was opposite Bogart in three of their greatest movies – THE BIG SLEEP (1946), DARK PASSAGE (1947) and the classic KEY LARGO (1948). Watching The Big Sleep is watching Bacall come into her own opposite Bogart. She’s as tough as they come, which is to say it’s only a matter of time before her steely-exterior begins to buckle and melt in time to let Bogart in by the end of the movie. Their rapport is so full of energy and sexual chemistry that it transcends the often impossible plot-line. 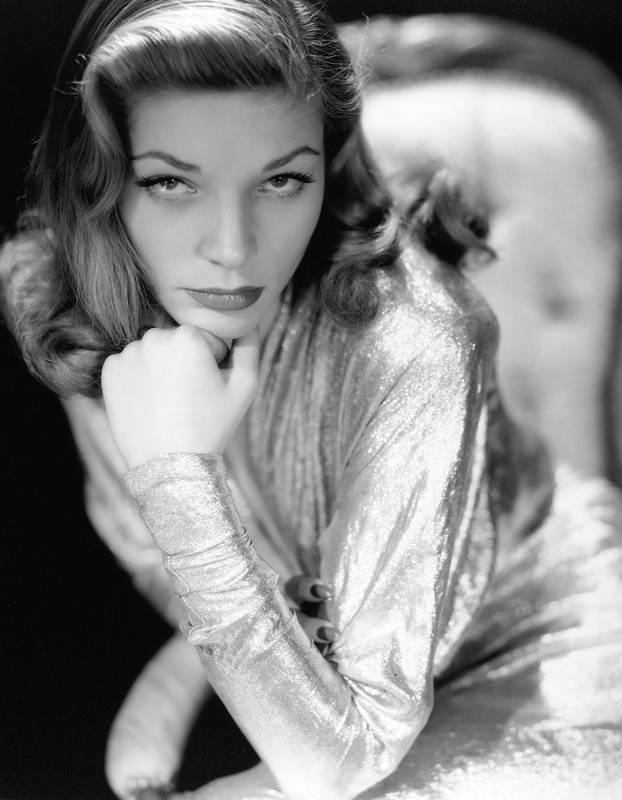 Bacall earned her stripes in The Big Sleep and made her into a legitimate star in her own right. No longer was she the 19 year old ingenue but a woman who could play complex characters opposite a giant of the cinema. I heartily recommend everyone watch The Big Sleep with an eye towards catching Bacall’s understated delivery as a very bad rich girl. A role that has rightly become a cinematic archetype in the subsequent decades. As happens in many a Hollywood Studio era film (as well as every other facet of life) DARK PASSAGE was a mess from the start. 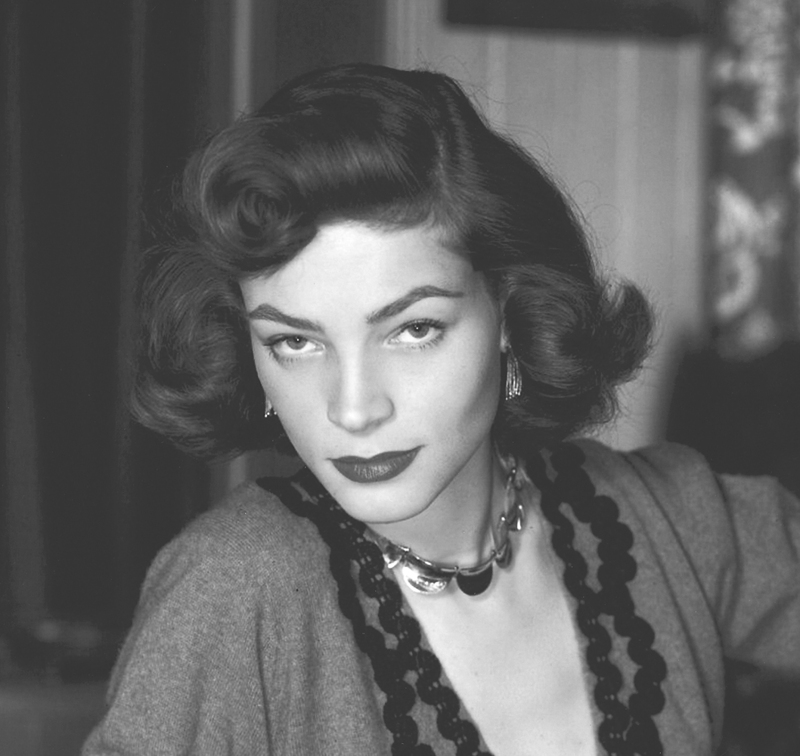 Bacall mentions in one of her interviews that the script was, well, crap and incomplete when she and Bogart started filming. But even with sub-par material nobody cares because hey, it’s Bogart & Bacall. That and the title are worth a viewing…maybe with some fresh popped corn on a dark and stormy night. And maybe it will get you in the mood for a double-feature. Rather, the main event and essential-viewing for any Bacall retrospective: the astoundingly powerful Key Largo. Wow, is Key Largo good. Great, in fact. With a supporting cast of legends such as Lionel Barrymore and Edward G. Robinson, not to mention directed by John Huston (reteamed with his Maltese Falcon leading man) Key Largo has something for every classic movie watcher. And what makes me giddy every time I watch this movie is watching Bogart and Bacall fall in love all over again. She the respectable and grieving widow of a fallen soldier opposite Bogart’s disillusioned WWII hero who rises to the occasion one more time to wipe out the world of villians like Robinson’s Rocko. Every time I watch this it’s obvious that every role has been cast by a professional actor at the top of their game – not the least of which is Ms. Bacall. Again, her acting is understated but no less intense than the combustible sexuality she portrayed in To Have and Have Not. Only this time she is more mature, more self-assured with the womanly-sensuality of a soul that has loved and lost — and slowly opening herself up to love again. It is a wonderful performance by a wonderfully beautiful actress who is learning her craft and excelling with every role. 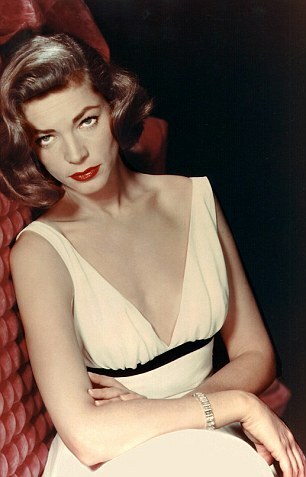 I love falling for Bacall in Key Largo. The hurricane hitting landfall in the movie is obviously a metaphor for the conflict occurring between the characters (and the opposing idealogies they represent in post-WWII America). Less obvious is the transition it marks which was occurring in cinema at that time. For me, this was the last movie Bogart would star in as a realistic love-interest. Don’t get me wrong, he was still knocking it out of the park opposite Katherine Hepburn in THE AFRICAN QUEEN (1951). But in Key Largo BACALL is the eye of the storm – the emotional center of the movie and a modern heroine who can stand on her own for what she believes in. 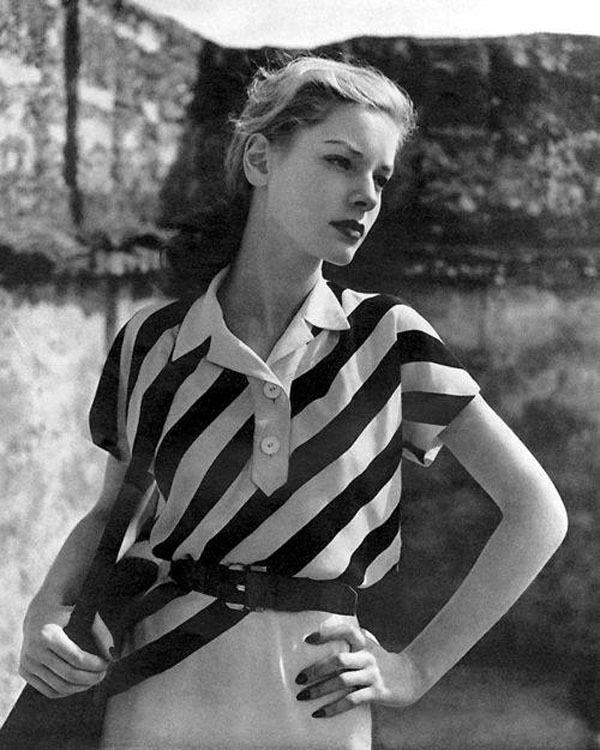 Lauren Bacall would come fully out of Bogart’s shadow in films, TV and especially the theater after his passing in 1957. She was the embodiment of class and brass balls – a woman as famous for her intelligence (she was a political activist in addition to a fashion icon) as she was her movie-star looks. And what endeared her to millions was her stalwart loyalty to the legacy of Bogart himself. After all, she was a strong woman who was respected for her integrity and prowess off-screen as much as on – something Bogart was known for as well. The two really were kindred spirits in this world. Just like I know they are now, together again in the next. Bogart & Bacall in Heaven. Now that’s a movie I’d run out and see any day.